A Wrinkle in Time (film, 2018). A 2018 American science fantasy adventure film with "PG" rating by Walt Disney Studios Motion Pictures. Directed by Ava DuVernay. Official Trailer. 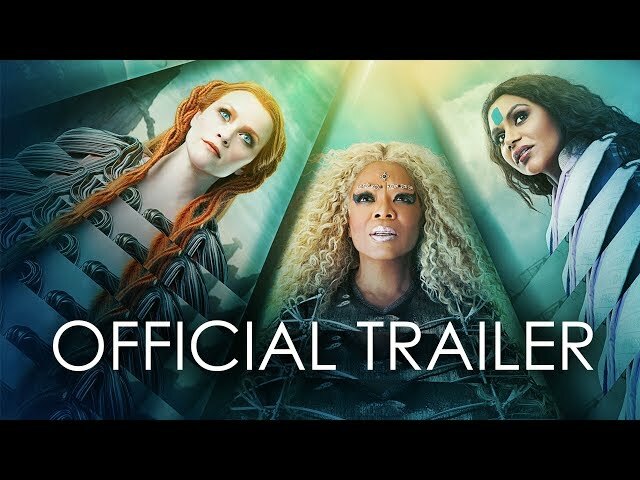 A Wrinkle in Time is a 2018 American science fantasy adventure film directed by Ava DuVernay. 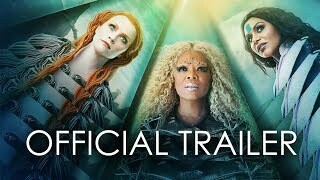 A Wrinkle in Time Official US Trailer. Thirteen-year-old middle school student Meg Murry struggles to adjust to her school and home life since her father Alex, a renowned scientist, mysteriously disappeared while studying astrophysics when she was very young. Both Meg and her mother Kate believed he solved the question of humanity's existence and theorized that he was teleported to another world. One evening, Meg's younger brother Charles Wallace welcomes Mrs. Whatsit, a red-haired stranger in an extravagant white dress, into the Murry family house. Mrs. Whatsit claims that the tesseract, a type of space-travel Alex was working on, is real. The next day, one of Meg's classmates, Calvin O'Keefe, joins them to go to the house of Mrs. Who, a friend of Charles Wallace's and a strange woman who speaks only in quotations. When Calvin joins Meg and Charles Wallace in their backyard, Mrs. Whatsit appears with Mrs. Who and another woman, Mrs. Which. The three reveal themselves as astral travelers and lead Meg, Calvin, and Charles Wallace through a tesseract, taking them to a distant planet named Uriel. After learning from the flowers that Alex has been to Uriel and since departed, Mrs. Whatsit transforms into a beautiful green flying creature and flies the children into the atmosphere where they see a dark shadow known as The It. After gaining the women's trust, Meg and the others tesser to another planet to meet with a seer called Happy Medium to seek his help to find Alex. Happy Medium shows them that Meg's father is trapped on planet Camazotz, The IT's homeworld. Mrs. Which explains that The It represents all the greed, anger, pride, selfishness, and low self-esteem in the world. She shows the children personal examples of these characteristics, including a friend and neighbor of Charles Wallace's getting mugged at a bus stop, Meg's school bully Veronica Kiley's extreme self-consciousness about her weight, and that Calvin, despite being popular at school, is forced and abused by his father to be a perfectionist. Given the news that Alex is on dangerous and evil Camazotz, the three Mrs. insist that they all travel back to Earth to regroup and make a plan, but Meg's strong will to not leave without her father overrides the tesseract, and she unintentionally redirects them to Camazotz. Principal photography began November 2, 2016, in Los Angeles, California. The film A Wrinkle in Time was scheduled to be released by Walt Disney Studios Motion Pictures on February 26, 2018 (El Capitan Theatre), on March 9, 2018 (United States) and on April 5, 2018 (Germany). The duration of the film is 109 minutes. With a budget of $100 - 130 million, the film grossed over $132.7 million. A Wrinkle in Time got average rating from critics. The audience dislikes the film either. Audiences polled by CinemaScore gave the film an average grade of "B" on a scale ranging from A+ to F.